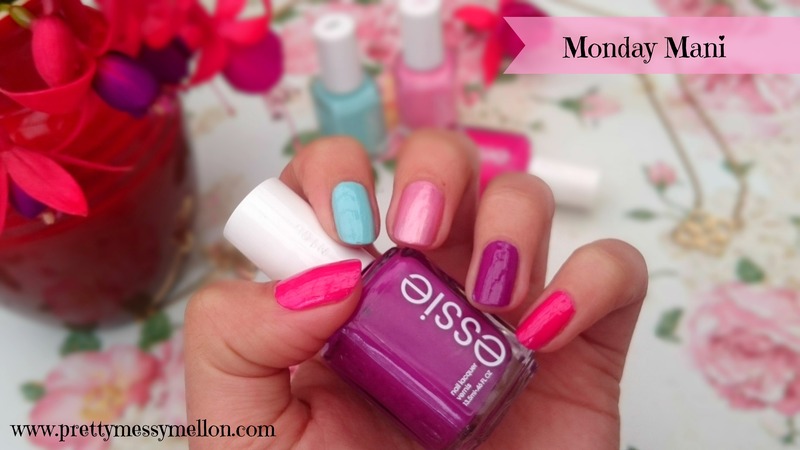 Monday again :) so lets get the week rolling with a funky Monday manicure! 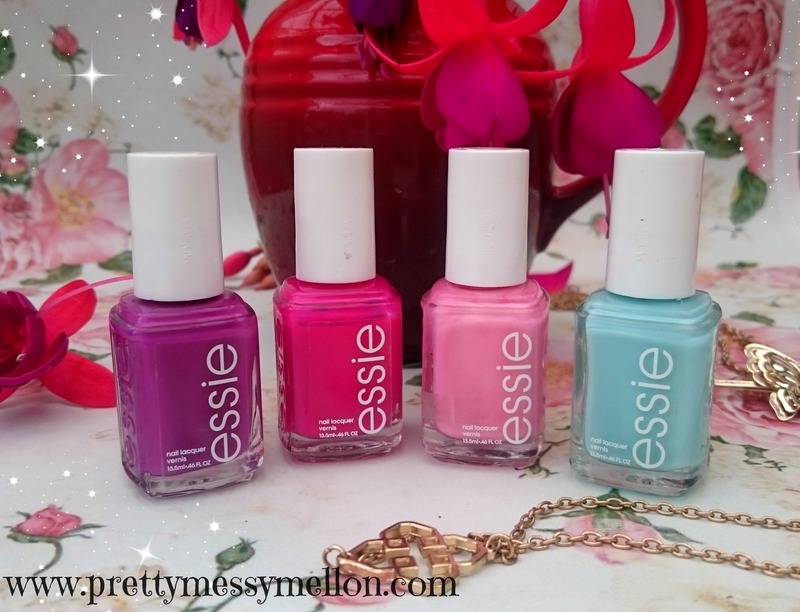 I have fallen in love with Essie nail lacquer and invested in a few shades to spoil myself. Here is what I did for my Mani this week. Also just to add quick, go check out my Facebook page as I am almost at 1000 likes and I am planning a lovely giveaway to celebrate! ….. I am loving bright funky colors now with summer that is coming and I decided to mix it up today and go full on bright with different colors :) It is definitely one way to draw attention to my hands and I always get people saying they love the multi colored nails. I literally just took 1min to pick a few random colors at clicks while they are having a 3 for 2 special :) Just couldn’t resist. Always remember to clean your nails nicely before applying nail color, you can do this by wiping the nails off with a cotton pad and some nail polish remover. It is also important to push back your cuticles and apply a base coat before you apply color to your nails. Then you can go ahead and mix up the colors and create your mani look. 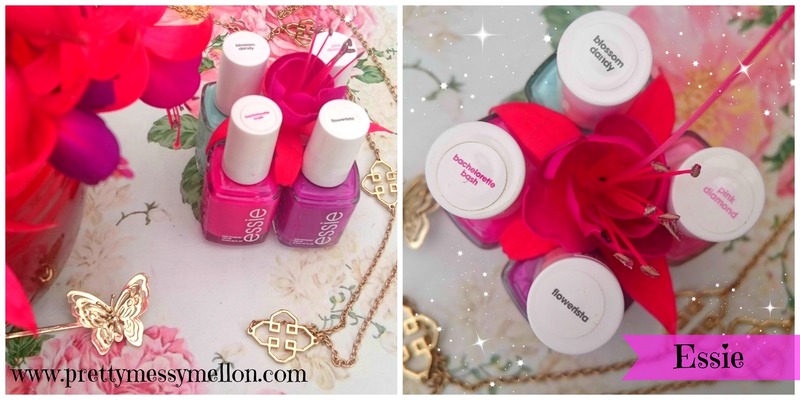 I used the following Essie colors: pink diamond, blossom dandy, flowerista and bachelorett bash. I chose to do the thumb and little finger the same nail cause I am a color short here from a full hand lol. But I did find that doing the thumb and little finger the same color in a way framed the hand. I then just did the other nails different colors to make it colorful and funky! 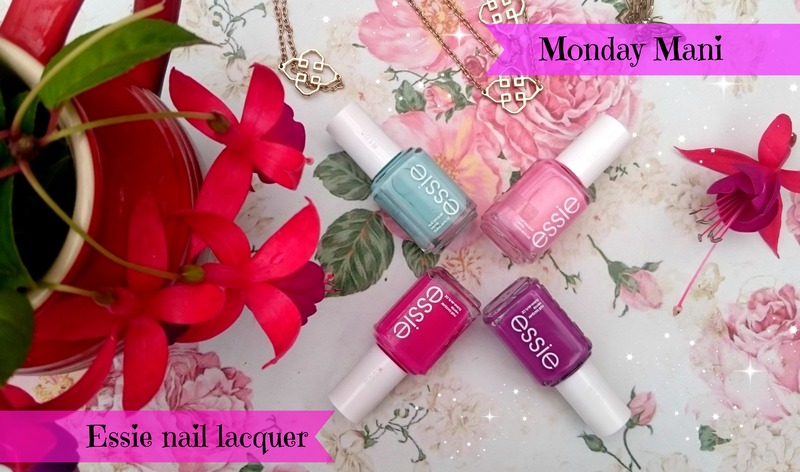 Hope you like my Monday mani and do yourself a favor and go take advantage of Clicks and Dischem’s current 3 for 2 specials on Essie polish. I love the thin consistency of the product and how it applies so effortlessly and dries so quickly!